Are you planning a short stay in Mexico ? Apart from the beautiful beaches, colorful iconic cities, archaeological sites like Palenque or the famous Mayan pyramids ; you will find many essential beauty rituals from Mexico! For your hair care or ’hydrating your body, you can bring’Aloe Vera. Women from Mexico use it as a ritual by applying it almost daily. This plant is the perfect remedy against hair loss and spots on body. You’ve cut your hair and want it to grow faster? Here is a good tip from Mexico: Boil potatoes in water and rinse your hair with warm water. A little paradise amongst an onslaught of tourists, this region of Mexico has plenty of natural attractions for you to enjoy fully with a sunny view. 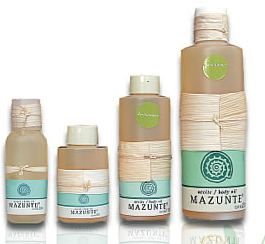 Besides enjoying the beautiful scenery, you can go to a ecological factory “COSMETICOS MAZUNTE”, a store with natural beauty products. 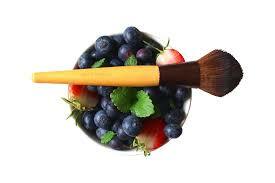 You will find different natural products : oils, shampoos, deodorants, soaps or anti-cellulite creams. Made out of a base of palm oil, corn, sesame seed, vitamin E and natural essences. 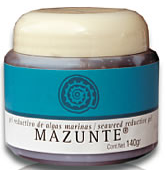 A combination of different natural oils to protect your skin from the suns rays and to provide moisturizing. You will end up with very soft skin! These deodorants are made out of a base of mainly coconut oil. They do not irritate the skin and do not stain clothes! These creams are made with Vitamin E and extracts from ingredients, such as seaweed, lemons, and carrots. They help to reduce cellulite that has accumulated by keeping the skin hydrated ! If you have had the opportunity to visit Mexico and have discovered other natural products, please send them to me to discover by leaving a little comment =)! If you liked the article and want to discover my universal beauty tips , visit my Angel Beauty Blog !